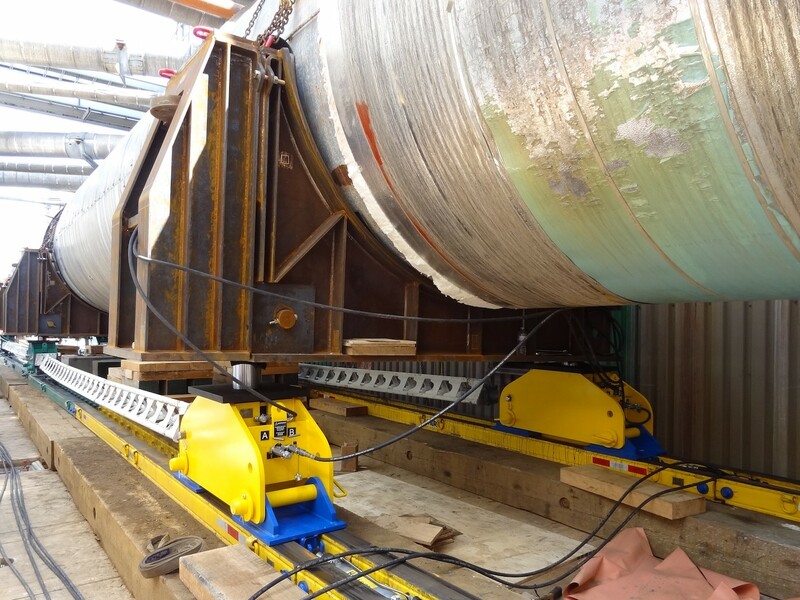 Six JLS250 jacking load shoes were hydraulically connected in three-point suspension to lift and slide two converters on the HT300 system. 13 December 2018 – Myshak Crane & Rigging utilized its entire fleet of Hydra-Slide hydraulic skidding equipment in addition to various other heavy rigging tools to changeout a horizontal converter at a fertilizer production plant in Alberta, Canada recently. The old and new converters weighed 514 tonnes and 520 tonnes respectively.